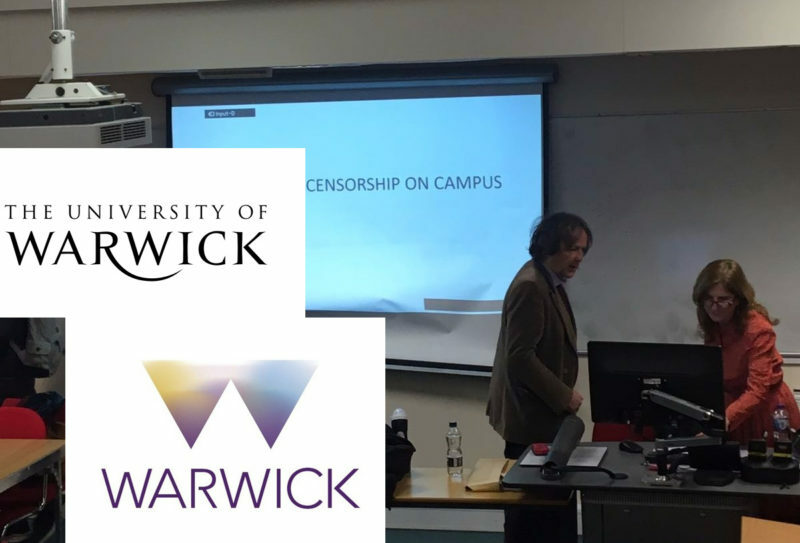 Three days ago, on 6th Feb, the University of Warwick held another anti-Israel meeting. The third such event in a month. Rather than directly discuss Israel, they wanted to focus on antisemitism. Or as it turned out to focus on how there isn’t really much of it about. Antisemitism is apparently rare these days, and the only reason it is in the news, is because Jews are a mix of devious, stupid and heartless people. Jews make up charges of anti-Jewish racism, and are then mobilised by western governments to suppress freedoms, so that land-grabbing Jews elsewhere can carry on killing children without criticism. No it isn’t a quote, but it is the inherent logic of the evening. There is much on the event that could be written, but I intend only to focus only on the central argument. So take it as given, that during the course of the event there was as much self-righteous indignation, hypocrisy, distortion and blatant propaganda, as is normally present during an anti-Israel event on campus. As usual, outright lies also peppered the talk. The argument always begins with the straw man position – that people like me seek to shut down all debate, and see all criticism of Israel as antisemitic. These are the vital elements of the ‘weaponised antisemitism’ argument and contains two separate but equally false statements. All three speakers at the event pushed both of them. The first suggestion (false argument number one) is that the Israeli position is the one that avoids debate. That Zionists are ‘scared’ of open discussion, because all the facts are against them. This coming from panelists at an event where all the speakers are only invited because they agree with each other. The truth is that the official position of BDS is ‘no to negotiation’, ‘no to normalisation’, and ‘no to discussion’. It suggests that talking ‘legitimises’ the situation, and Zionists only seek to deflect and waste time. As has always been the case, most anti-Israel players actively no-platform (or will not engage) anyone who is Zionist. The Zionist position is openly one of negotiation. There is nothing controversial about this at all, these are the official positions of the two sides. The argument then is entirely false. Notice the use of the word ‘all’. Sometimes the strategy simply reads ‘criticism’, without the ‘all’, thus carrying the implied meaning of ‘any criticism’. Either way the message is clear. Accusations of antisemitism are raised because of Zionists who see ALL criticism of Israel as unacceptable or antisemitic. It is a binary position like most anti-Israel arguments. What happened to the word ‘some’? Or reverse it – are they suggesting that no criticism of Israel can ever be antisemitic? The straw man is developed to change the subject. The focus must not be on what antisemitism there is, but rather what antisemitism there isn’t. To seek out something that can be seen as a false accusation, and place the microscope on that, giving cover against every accusation of antisemitism. The enemy becomes the Jew who claims he is a victim of racism. Would any other form of racism or abuse be dealt with in this manner? My simple answer to that is that the problem is in-house. 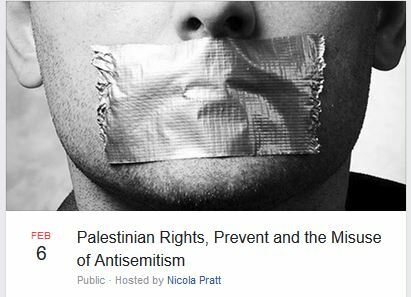 If Nicola Pratt could see antisemitism where it exists, if Nicola went about the question of Israel in proper academic fashion, then I seriously doubt anybody would be complaining about anything. If you cannot see racism where there is plenty of it, then you should exist in a controlled environment. After this she got lost somewhat, and rambled. I actually see this a lot. Because the underlying obsession is grounded not through academic study, but in irrational bias, she came unstuck when trying to coherently explain her position to the audience. There was nothing further of note (on antisemitism) in her speech. Sai Englert is second to speak. He is a teaching assistant at SOAS, but apparently lectures on the Israel / Arab conflict at the University of Leicester. His bio suggests he is Jewish, anti-Zionist and one of those who romanticises about pre-Holocaust anti-Zionist Jewry. I believe he recently married ‘Zionist outpost’ Malia Bouattia. He spent much of his talk throwing the usual empty propaganda and distortion we have come to expect at anti-Israel events. As he opened up to discuss PREVENT, he even pushed the story of a young Luton student who was unfairly targeted by PREVENT for ‘supporting Palestinian rights’. That particular false tale shows (see Harry’s Place for details) just how well, made up anti-Israel propaganda can work. False it may be, but it is still being distributed by people like Englert to university students. Pratt mumbled, Englert gave out anti-Israel propaganda, so it fell to Richard Seaford to directly discuss antisemitism. The Professor from the University of Exeter began by suggesting we are witnessing an appalling attack on free speech. I happen to agree with him. Students at some universities today almost ‘self-police’ in fear at displaying a political or ethical view that does not fit in with the views of the hard-left. Of the three speakers, Richard Seaford is the most dangerous. It isn’t new-style poorly argued academic activism, it is old-school British ‘self-righteousness’ wrapped up in a polished academic package. Seaford somehow only manages to see what serves his argument and nothing else exists. The examples he provided, were never complete, always one sided, self-congratulatory, and normally out of context. The biggest problem however, is that he doesn’t seem to understand the issue of antisemitism at all. I would argue he doesn’t actually get what a ‘Jew’ is either. He dismissed Jewish concerns over Apartheid Week on campus. Seaford sees the actions of the community in trying to address Jewish issues on campus (he specifically mentioned the Board of Deputies) in a negative light. He actually referred to anti-Israel events as ‘debunking misconceptions’. That’s right, those events I go to, that display absolutely zero adherence to truth, are the ‘good guys of the Seaford story’. Before he can get into the definition of antisemitism, he needs to prepare the ground. Seaford presents his version of ‘false argument number one’. ‘A couple of years ago, we had a debate in Exeter, on the question of boycotting Israel. I spoke in favour, … there were 200 students (editor’s point of fact Richard – there were 140)…after the debate there was a comfortable majority in favour of the boycott…..this is a catastrophe. They know trying to defend what is going on… you can’t do it. I think adding the context of this taking place at the heart of Ilan Pappe’s Exeter empire might have something to do with the result. Two years before this, University of Exeter students voted to boycott Israeli settlement products in a landslide. But it does provide a glimpse into Seaford’s manner of self-reinforcement. Rather than the academic seeking ways to test or counter his position (seeking reasons behind the result), Seaford unquestioningly uses the result to reinforce his opinion. Unfortunately, this is the way much of modern academia works. ‘The people who are pushing this antisemitism scam are divided into two categories. There are the people who know it is a smokescreen. That’s why they are doing it. Then there are people for whom I actually have a lot of sympathy, who believe it genuinely. I think if you are Jewish, and you see that 80% of the United Nations (did a Kantian actually just use the United Nations as a moral compass), half the world, all those Jewish professors, all those non-Jewish professors, so many of the British people, are criticising Israel and you don’t know why because you don’t allow yourself to see the unbearable injustice that is being inflicted on the Palestinians. You just don’t see it. There are plenty of people who just do not see what is happening. Firstly, I need to thank Richard Seaford. People like him reinforce my own understanding of why Zionism was, and remains, so important. Seaford’s Jews are split into three groups, the manipulators, the fools and the ones who have seen the light. 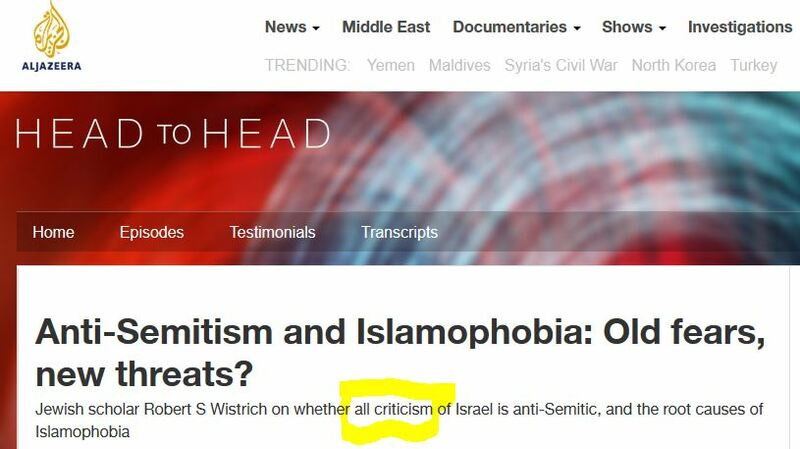 It is also based on the second false statement that all criticism is seen as antisemitic, and is full of the straw men created by that position. Seaford’s academic blind spots continue to play havoc with his logic. There is no possibility that his understanding of the ‘Jew’ is flawed, that he doesn’t properly identify antisemitism, or perhaps his understanding of the dynamics of the conflict itself contains errors. Seaford is dealing with absolutes. This wouldn’t be as serious, if he were not at a university speaking to students, about the subject of anti-Jewish racism. Seaford even offers the blind Jew (not the manipulative one), a way out, a way of liberating themselves. If only the Jew can see that antisemitism doesn’t exist, that there is no legitimate reason for the Israeli position, then he can ‘mature’ and ‘escape from the nightmare’. This almost reads like a medieval Christian conversion process. Rid yourself of the shackles of Judaism and see the light. And then it is handed over to the audience for Q&A. It is here where the second element of the propaganda campaign flexes its muscle. This is a closed debate and only Warwick people are allowed in. The panel are ‘experts’ and handpicked to reflect only one point of view. There will be no serious contest tonight. Antisemitism is being used to stifle free speech? Well yes, of course it is. Just as racism is, Homophobia is and so on. I hold my hand up. I am a great believer in free speech, but I don’t think antisemitism should be freely promoted in a university. The approach to antisemitism witnessed at the University of Warwick was horrendous. It begins with the idea that the narrative of Palestine, like Gravity, functions as a ‘natural law’. Understand Seaford’s proposition. Those who oppose the law cannot argue against it, so deflect. The deflection is the accusation of antisemitism. A Jew either does this deliberately or out of stupidity. If, in any possible world, the underlying presumption is wrong, the entire proposition falls apart (there can be an argument against it, thus the reason given for the accusation of antisemitism is unnecessary and probably false). Thus, Seaford’s version of Palestine must be absolute. If not, if there is any possibility at all that there is more to this conflict than Seaford is proposing, then he is unforgivably standing in front of Jewish students shaming them and ridiculing their complaints. Nobody says that all criticism of Israel is antisemitic. Nobody says that leaning towards pro-Palestinian advocacy is antisemitic either. These are all straw men positions. What is clear is that there is a correlation between anti-Israel activity and levels of antisemitism. We see too many Holocaust Deniers, too many 9/11 truthers and too many Rothschild Conspiracy theorists waving Palestinian flags to ignore it. People like Seaford see them as a tiny minority. They form at least 40% of visible activists at almost any anti-Israel demonstration (see England and Scotland). When Jews complain, in Seaford’s world, they are being deliberately manipulative or stupid. We seek to address the antisemitism, he seeks to deny it. As he speaks louder, he sees our opposition as illegitimate attempts at suppression. I cannot really say more about the University of Warwick than I have before. This small group of academics on campus are impacting on the life of Jewish students, and the University body and Student Union are failing to address the issue properly. Would they permit someone to come in and suggest accusations of sexual abuse are all maliciously motivated or led by idiots? How about anti-Black racism? Can they name one other form of abuse where they would permit those attacked to be ridiculed in this fashion? After the talk, Nicola Pratt seemed to tell some Jewish students present that others, not the vast majority of Jews, need to define antisemitism, and others, not Jews, need to define what is offensive to Jews. This is truly disgraceful talk from an academic to university students. Despite the apparent issue with antisemitism, not a single movement has sprung up in-house to educate anti-Israel activists about antisemitism. Every single element of the process, whether it is ‘free speech on Israel’, ‘Jewish Voice for Labour’ or vicious university events such as this, have all gone out of their way to deny the problem of antisemitism and thus to allow it to flourish. Jewish students are left sitting in a room and having their accusations of racism publicly demonised and ridiculed. Free speech? No, it has a cost and Warwick really have to get a grip on this. Calling on Jews in the 21st century to convert or else be demonised is no way to run an academic establishment. If they can read the above English, job done. University of Warwick – proudly educating the nation’s next generation of anti-semites! SOAS and Exeter – say no more. To sum up, where Jews are truly evil is in trying to deprive the world of its right to anti-Semitism because recall, anti-Semitism has never been an unambiguously bad thing…it only got a little embarrassing post WWII. This is in the old Christian mold. He’s not in fact trying to debate; he’s trying to convert…on a presumption of moral superiority. Since Jews are flawed by definition, their only path to “righteousness” (being right) is to convert. You don’t reason with a Jew. Jews never got to “debate” and make their case in the New Testament. So it’s the age-old template; to be expected. Know your place, Jew. The reason anti-Semitism is such a confusing concept for the offenders is that to be “anti” means to be unfairly biased; whereas calling out Jewish evil doesn’t feel “unfair” at all; it’s appropriate. Like, can you really be “anti-devil”? (and Jews are sons of the devil, per scripture). That’s how deep it is. As for “all criticism of Israel is anti-Semitic” – technically, it’s obviously not. But unless someone prefaces their spiel with “I spent the entire morning fulminating about N. Korea, Iran, Russia, etc., and now I’m going to criticize Israel” – something that never, ever occurs – then yeah; it’s smells plenty anti-Semitic to me… particularly when the “criticism” is actually slander. Pro-Israelis are accused of believing Israel can do no wrong. Actually, it’s “pro-Palestinians” who believe this. For them, only Israel can do no wrong; i.e, “is not allowed to.” In fact, pro-Israelis always start off, “Israel isn’t perfect, but…”, When have you ever heard “Palestinians aren’t perfect, but…”? However you wish to push it, the fact remains, regardless of your own views Mr Collier, is that hardly anyone is exposed to any of these discussions going on across UK Universities, but you do keep banging on regardless. However, where is your outrage at the explicit anti-semitism hosted in the UK’s Rightwing media this week with regards one George Soros? I mean, The Sun, The Telegraph and The Daily Express are read by millions. Alas, instead of focusing on actual anti-semitism, you confine yourself to Warwick and accusation against the UK’s political Left, whilst the UK’s Left has been outraged by the open anti-semitism against Soros utilising well tested tropes. For the record, I’m no lover of Soros or his numerous NGO’s, but I base this on the fact he’s an ardent Capitalist, his religion having zero to do with this fact. 1. I am busy doing other stuff. I have a backlog. There are several blogs in the making, there is a major report that should have been finished in December, and a book I haven’t really touched in two months. I am one man with a keyboard swimming in a swamp of antisemitism. 2. I saw it spoken about on Sky, in the Guardian, in Haaretz and so on. Even O’Brien picked it up on LBC. There really is no need for me to jump in. I can tell you that if I were to pick up on an angle, it would be to attack both sides for using antisemitism as a political tool. The left only see antisemitism when it is on the right, the right only see it on the left. Both sometimes imagine it when it is not there, and both never see it when it is coming from a political ally. See how quickly you were to jump in. Suddenly you are a defender of Jews? No, not at all, but as soon as antisemitism became politically expedient you picked it up. There is a rise of antisemitism, the Jewish people are caught in the headlights of some truly scary societal changes, and I am trying to fight antisemitism from within this environment. I won’t pick up a hammer to bash the Telegraph just to protect or deflect Labour antisemitism and I won’t pick up a hammer to bash Corbyn just to protect right-wing antisemitism. Does the Mail really like the Jews? No, of course not, and as soon as it is no longer politically expedient, the Mail will sink back into ignoring antisemitism (or even pushing it) as they always have. This would be my angle, and your comment here only reinforces the strength of my position. Err, how does religion come into this, Slimeball? Most in the Jewish community are aware of Soros’ behaviour towards his fellow Jews when he aided and abbeted the Nazis with their confiscation of Jewish property. Soros also works very secretively to further what he feels are ‘progressive’ movements; and Israel is not one of his favoured projects as he donates much to anti-Israel causes. But critising Soros for his very specific actions certainly does not make the reporting in any of those papers antisemetic. Pro-Palestinian events versus anti-Israel events. To date I do not think I have ever been to a pro-Palestine event, as there is nothing positive said about Palestinians, nothing about how to improve the situation of the Palestinians; it is all about Israel and those f—ing Jews (sorry Zionists). I have never yet heard about peace; its always ‘we do not want peace, we want justice’. Yet when I ask what they mean by justice, they obfuscate and refuse to answer. What the anti-Israel brigade has successfully mastered the talk of ‘human rights’ into their discourse. Ignoring the fact that ‘human rights’ either does not exist in the Arab/Muslim world (as we understand it in the West), or is practised in a way that makes the term into an oxymoron, this notion of rights is pushed in every anti-Israel forum. The insincereity of the anti-Israel brigades use of the ‘human rights’ canard is that to all intents and purposes, the only realistic human rights activity that is practised in the MENA (Middle East & North Africa) is that that is practised in Israel by Israeli/Zionist/Jewish individuals and the state, and is used and abused by the anti-Israel brigade to demonise and abuse Israel.